How to connect my Raspberry to a WiFi network (Wireless)? Raspberry Pi boards (except the new version 3) have not WiFi system (Wireless), but only Ethernet connectors (Cable connection). So if you want to connect your board to a WiFi network you will need to buy a USB WiFi adapter. How to configure Raspberry Pi for WiFi networking using the USB adapter. 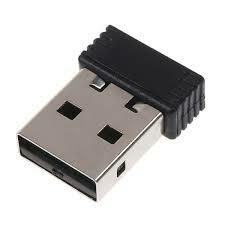 Plug the WiFi adapter to any USB port on your Raspberry. Now, you have to check if Raspberry found the WLAN adapter among the connected devices. Run the lsusb command. Now you can see all devices currently connected to USB ports, which are recognized by Raspbian. Once you have found the WLAN adapter in the device list, you can start to configure the WiFi network. Add or change the current configuration setting the DHCP mode for the wlan0. Then insert the ID and password of your WiFi network in order to access it. My Raspberry configuration is set as shown in the following picture. You interfaces setting file can be different, depending on many wireless network are set and on previous settings made on the networking configuration. Now, the new network configuration have to be load by the system. So, you can do it by reloading the networking service. Finally, check the WiFi connection status for being sure that all is OK.
Now an IP address should be shown for the wlan. 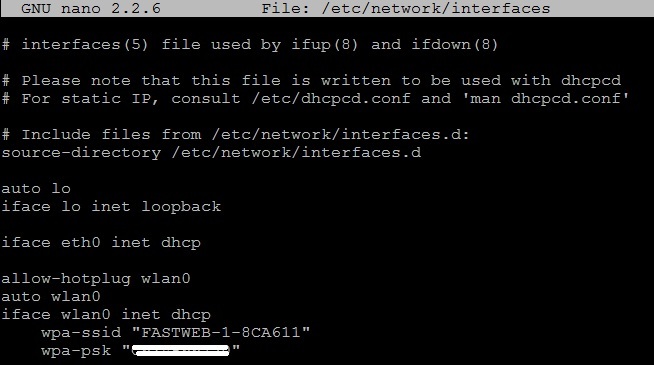 An IP address assigned to WiFi by DHCP.